I pre-ordered my box of Modern Masters 2017 for a steep discount…(information respectfully withheld. Thanks! You know who you are!) Put it this way, I got a serious good deal. Like the other “Masters” sets, this box only came with 24 packs. But every pack contains a foil. AND this time the set was loaded up with re-prints people have been asking for! This time I only have one picture, which will tell most of the story. I already put my rares away…sorry guys. 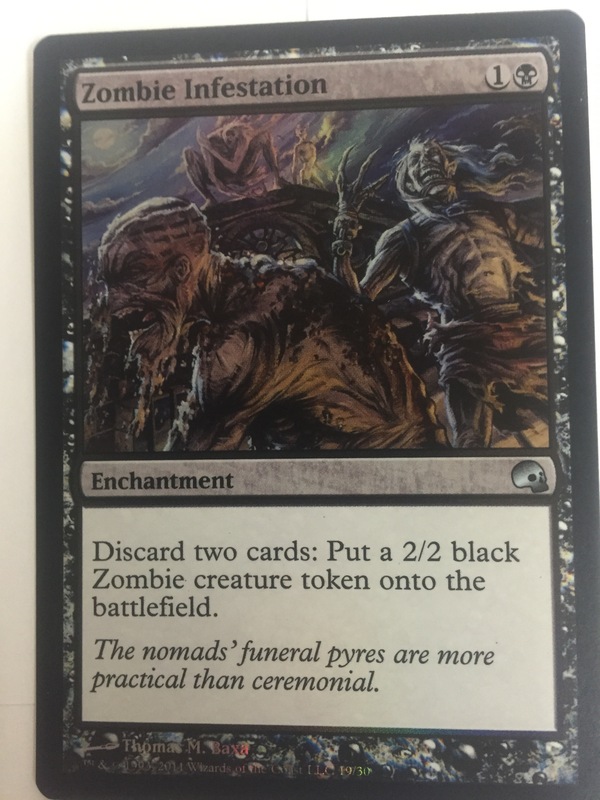 These are the commons and uncommons. 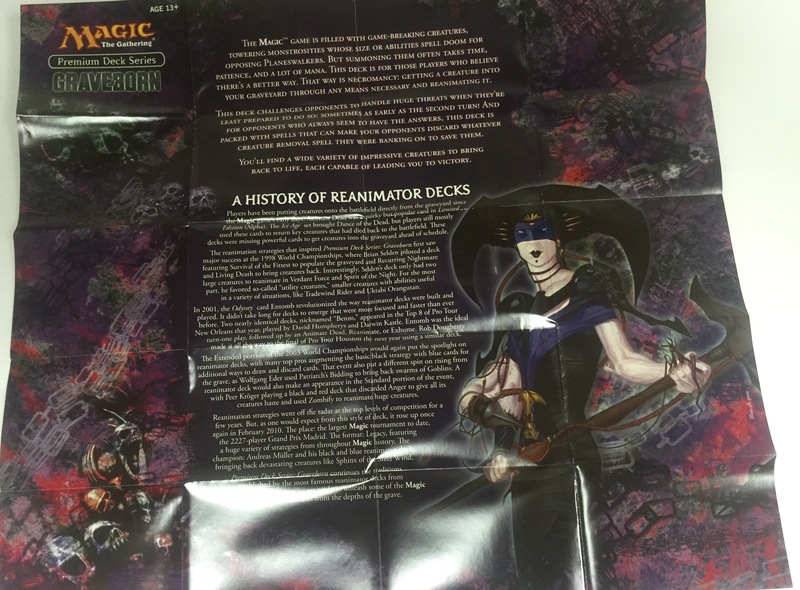 The story is “Return to Ravnica/Innistraad” srandard. You could even draft deck archetypes with this set. Maybe you can’t tell from the picture, but the stack of “gold” cards is about 1/3 taller than the traditional cards. This is a set that wants you to build multi-color decks. So what rares did I pull? 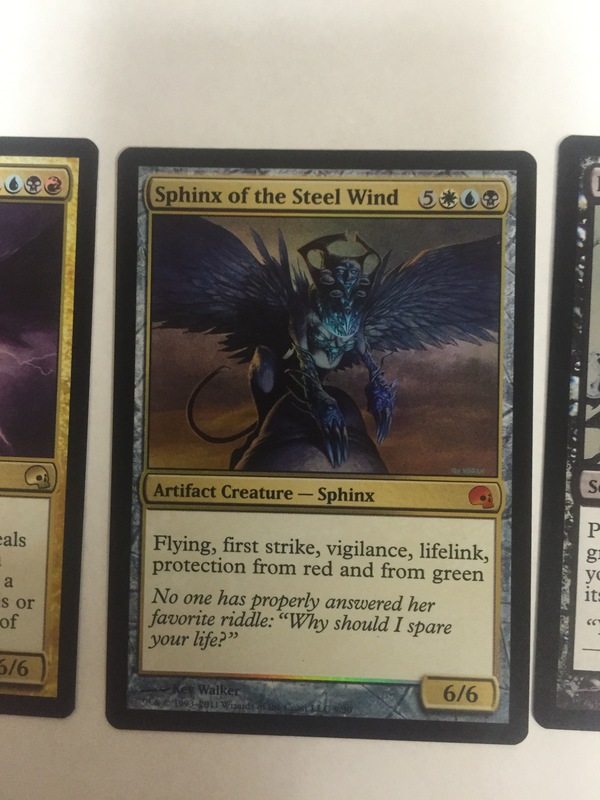 Notably, I didn’t pull Snapcaster Mage, Liliana of the Veil, or Damnation. I didn’t pull a Serum Visions or a Path to Exile either. 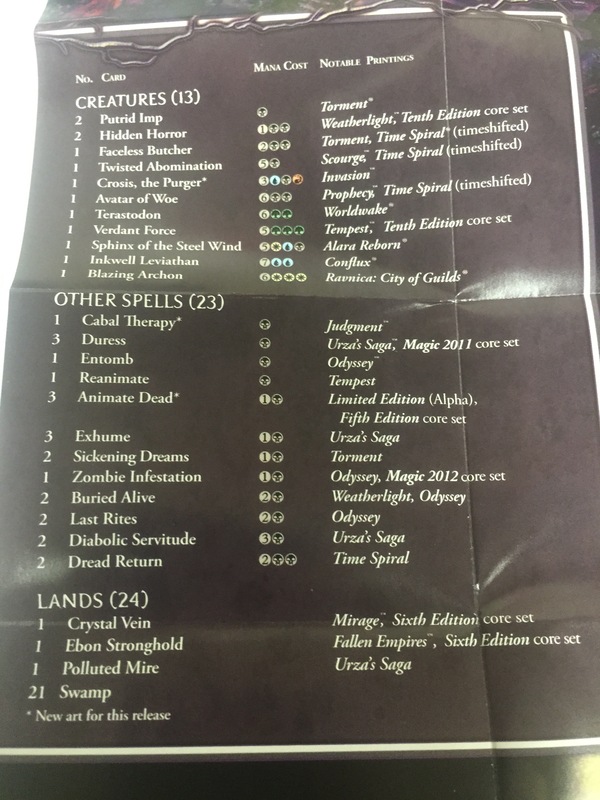 But two awesome lands, Griselbrand, and the angel were all great pulls. So did I draft? Both me and the SpartanKid did so at the Tangled Web…$35 per entry fee…that’s steep! But at $10 a pack, that’s why. I think we both drafted traditional draft style decks. Mine was based on “bloodrush” Which was incredible Green Red strategy back in RtR block. 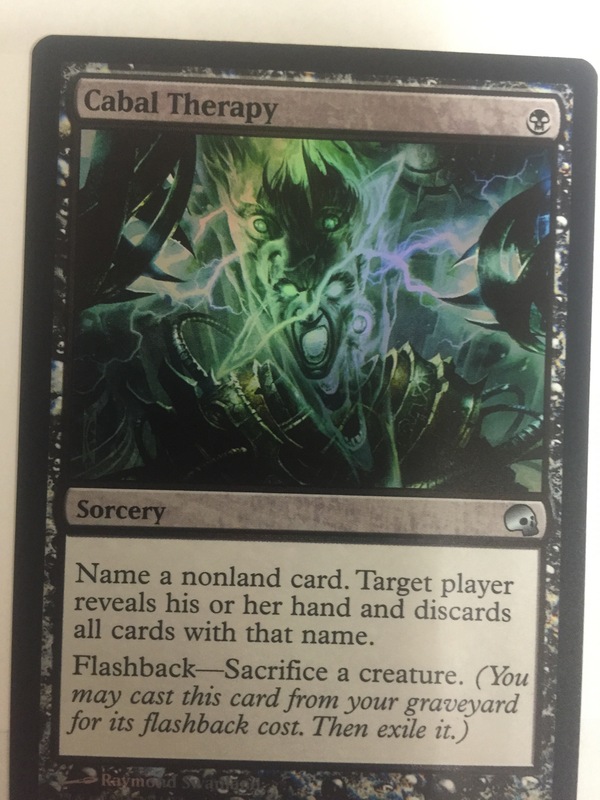 The SpartanKid drafted mono-white. Probably not a great choice…but he crafted a successfully annoying Soul Sisters deck. In fact, mine was annoying too if you were lucky! Giantbaiting + Dragon Fodder+ Revive = YOU WIN. But most of the time the opponent just had an early flier that I could only hold off for so long before I was ran over. 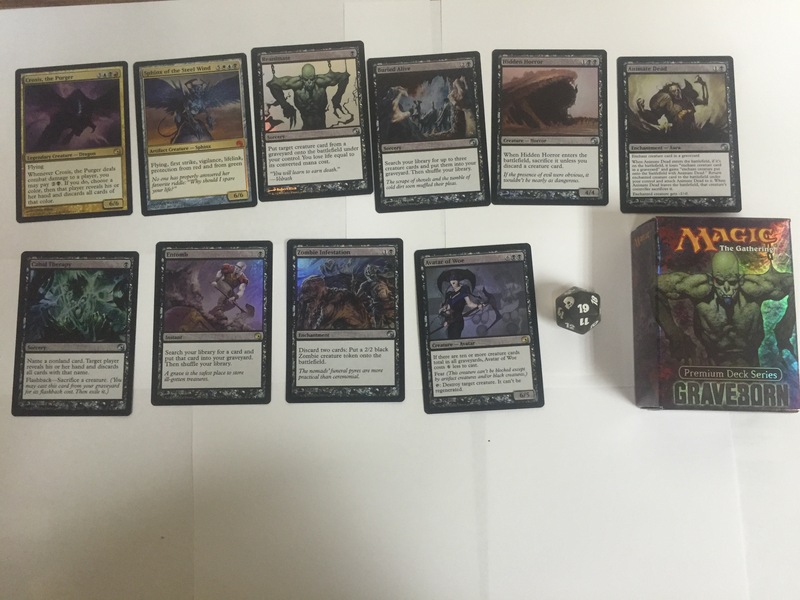 I did manage to draft Terminus, Obzedat, Goblin Guide, and Misty Rainforest. But since I was in red green only the latter two made the cut…This set is so good that Misty Rainforest was actually passed to me! I don’t know what they pulled….??? 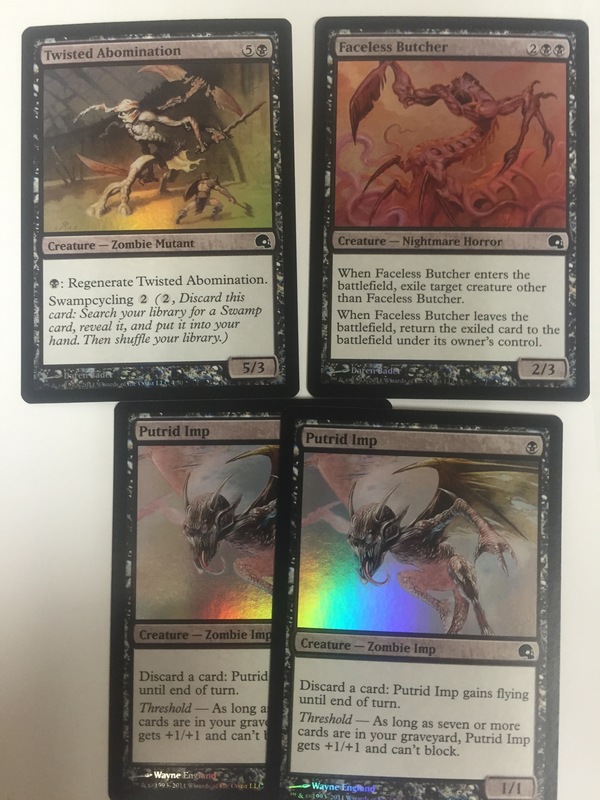 I wound up trading for a foil Damnation, and so I am all around happy with my investment. 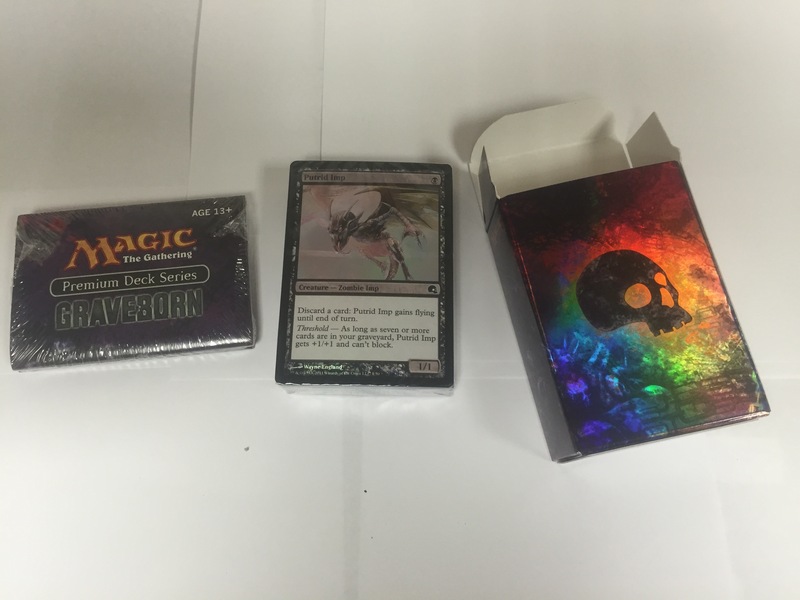 If you read my blog, you know I have been burned a few times buying MTG boxes. I felt confident that it would work out, and it did reasonably. 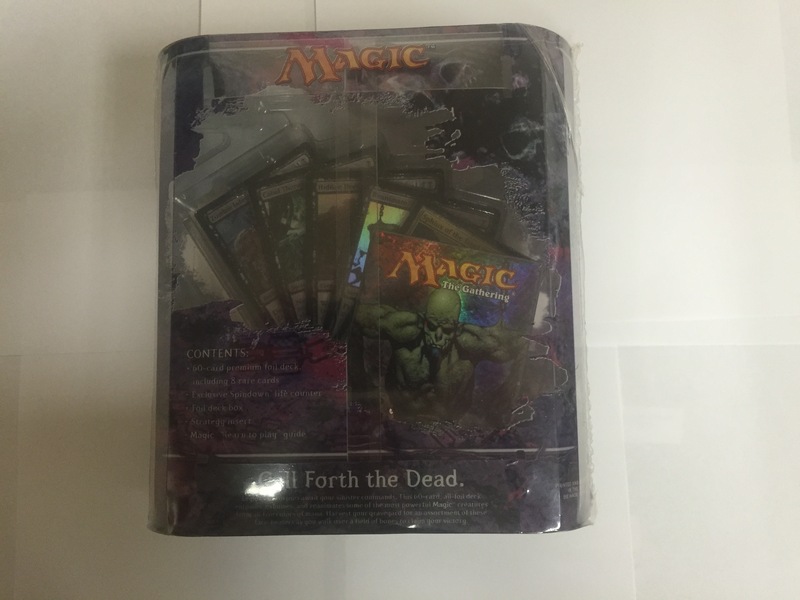 However, I did see “Rudy,” some You-Tube guy open a totally wack box, and follow that up with a box that contained all five fetch lands, Liliana, and Blood Moon. So the potential for this to have gone either way in the other direction was there. I was encouraged as one of my regular opponents sat beside me while I opened the packs from my box. I was unaware of some of what I had. 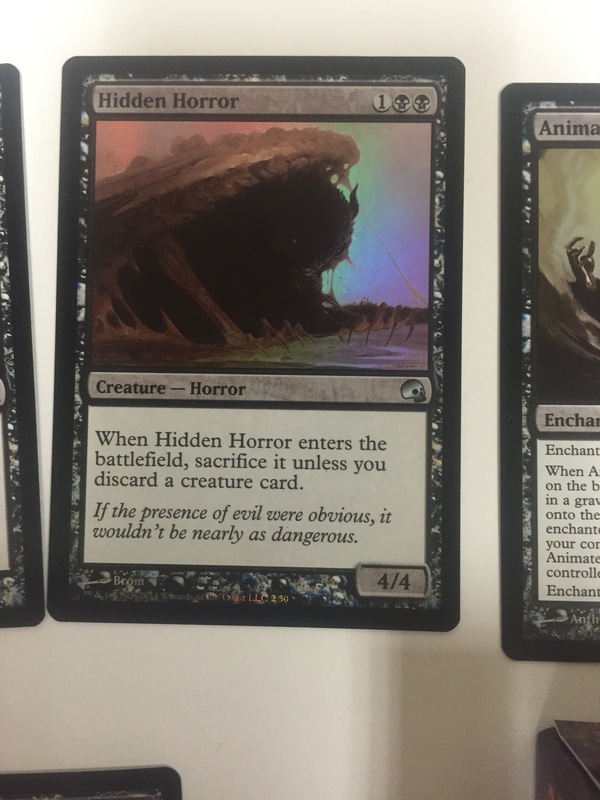 I have a foil Grafdiggers Cage now. 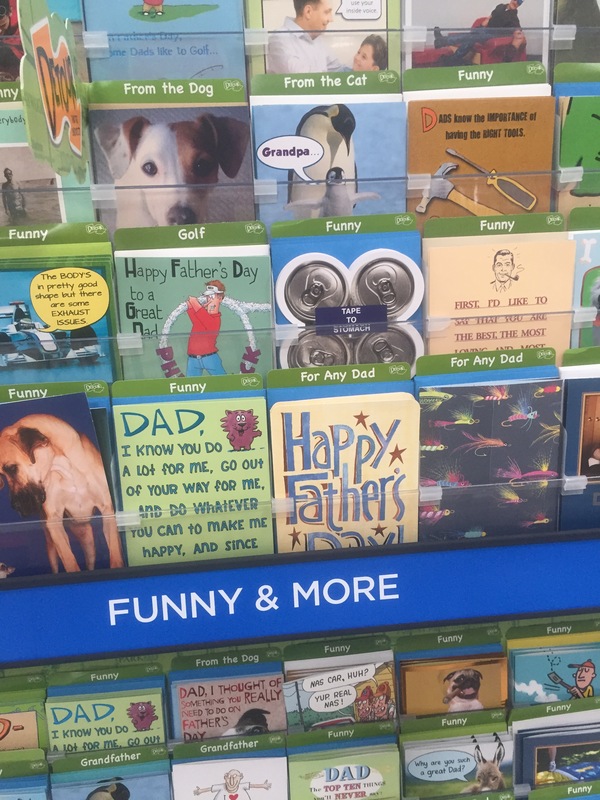 Somehow that is a card that hasn’t been on my radar. But I see incredible play value there now. That guy also proclaimed jealousy when I opened Goblin Guide, and then drafted him as well! I don’t know that I will get to draft this set anymore. Opportunity dries up as the supply will. 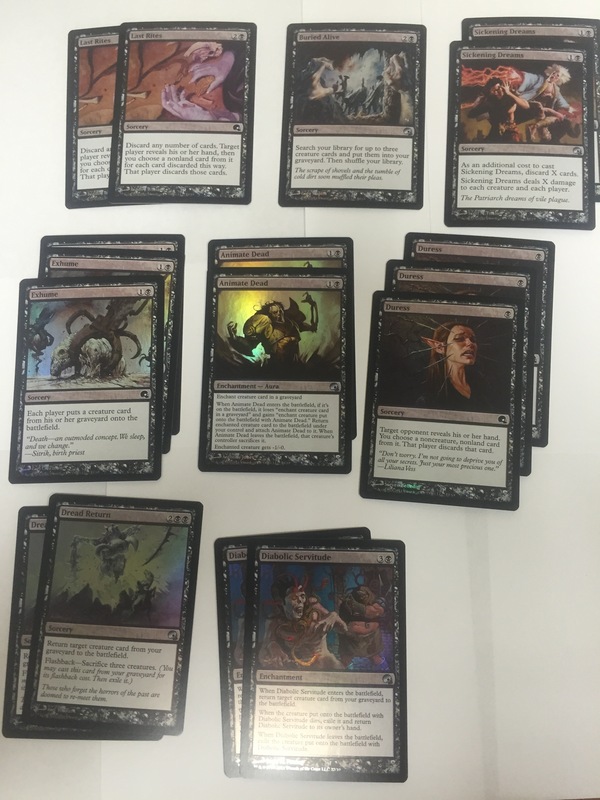 If you read my previous post, you know I was looking forward to drafting Gifts Ungiven, or possibly pulling a foil Liliana of the Veil. But I also realistically knew those were long shots. I am going to refrain from rating this set based on my experience. I have opened 27 packs and played with 24 of the cards, rather unsuccessfully. I was fighting against myself as well, as I was really sick and started to get tired at around 10:00 PM. I was making bonehead mistakes, like Traitorous Instinct on Ogre Jailbreaker, when I didn’t own a gate, for instance. That really doesn’t say much for me and my skills on that day, and so I can’t rate it. I do think the draft environment really wants you to aim for three colors. At the Tangled Web, there are a few “fixer hogs.” They take all of the fixers, and then they get to pick the best stuff on the last pack. I can’t draft that way. Maybe I should try it out. But it seems I would rather know my strategy from the first twenty cards I draft. 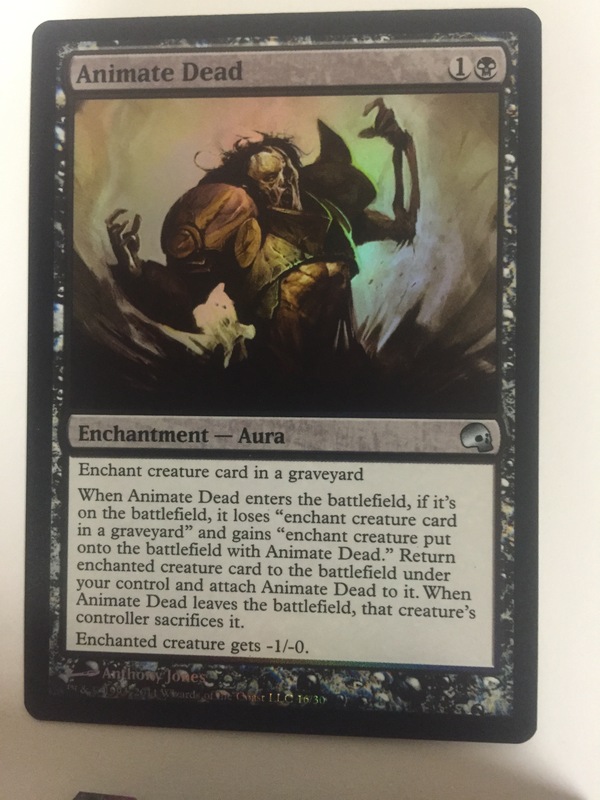 The Next Big Thing in Magic…”Amulet of Vigor” combos! Turn one. 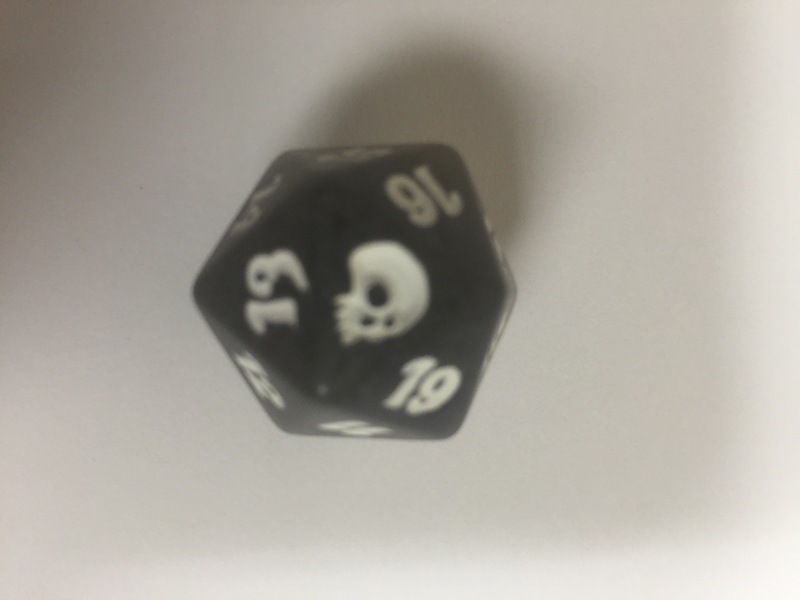 You won the dice roll! You play a GuildGate. It is a tapped dual land that lets you do NOTHING until your next turn. Turn one for your opponent. He does something you figured impossible. He gets out Griselbrand! You lose. And you never produced one mana. I am exaggerating a little bit. The guy I played who was able to do this did it on turn two. But my GuildGate was useless just the same. Anyways. 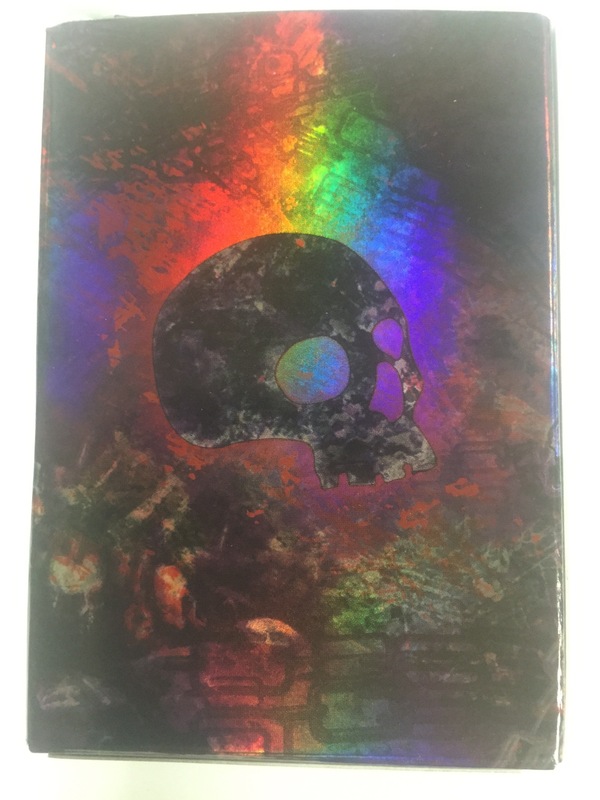 I went shopping, and found four copies of “Amulet of Vigor” online. (It wasn’t in any local stores.) Each copy only cost about $2.50. To me, not a bad price for a card that can allow the dumb GuildGates to untap when they enter the battlefield, and therefore not be so dang useless. There is this story floating around out there. In the first ever sanctioned Modern championship tournament, the “Amulet of Vigor” was used with “Cloudpost” so effectively that “Cloudpost” was banned from the format! 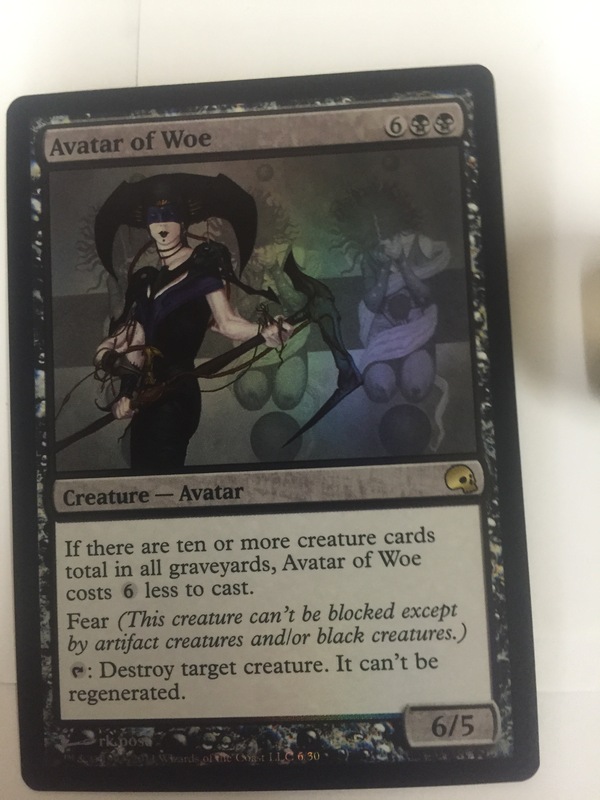 With the banning of “Cloudpost,” the amulet fell by the wayside, taking up space in binders everywhere. Turn One. You have this in your hand. A “forest”, “Summer Bloom”, “Simic Growth Chamber,” “Primeval Titan,” “Boros Garrison,” “Summoner’s Pact,” and “Amulet of Vigor” You play your forest, and the Amulet. Turn two. You draw “Hive Mind.” Play “Simic Growth Chamber.” Here is the trick. It actually enters the battlefield tapped, but then the Amulet of Vigor ability goes on the stack, which causes it to untap. Normally you would have to bounce a land. But you can go ahead and tap the land for its two mana first. Having used it up, you can bounce it back to your hand! (Now you have a floating green and a floating blue.) Use the two floating mana to play “Summer Bloom”. 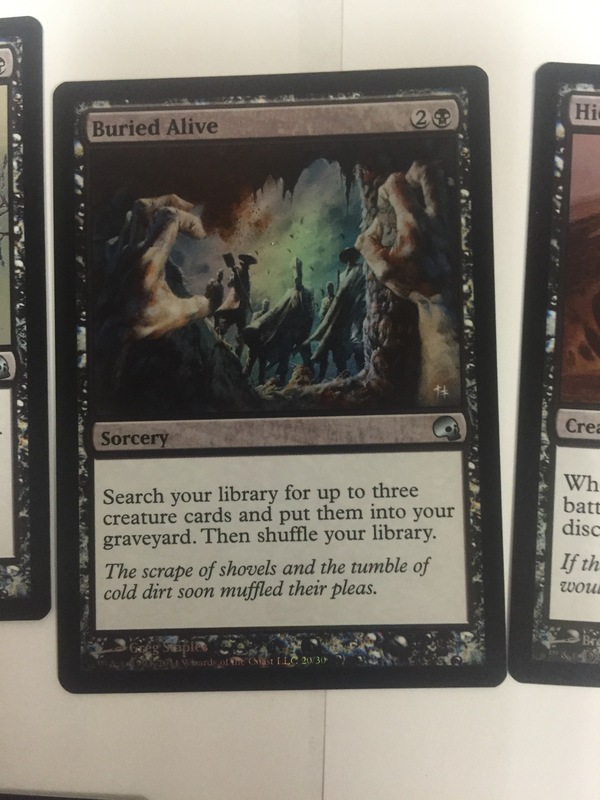 This card lets you play up to three lands from your hand….Guess what three lands you are going to play? 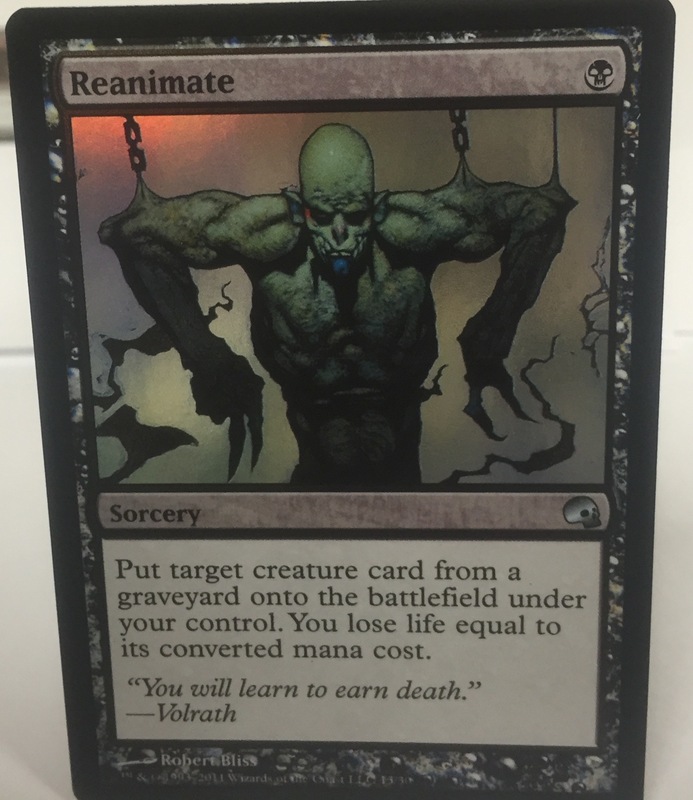 “Simic Growth Chamber”! Get its floating mana, and bounce it three times! This gets you three blue and three green floating mana, which you are now going to use to play “Primeval Titan!” I suggest getting utility lands for the Titan when he enters the battlefield. Or maybe “Slayers Stronghold” and “Boros Garrison,” which you can use to give him haste and an extra +2/+0″! 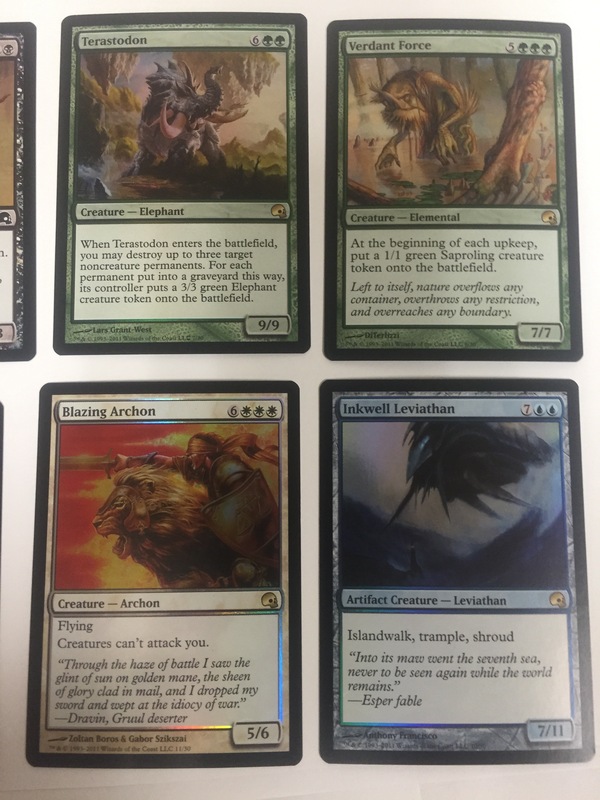 Swing with your Titan, on turn two for 8 my friend, and go get two more lands. 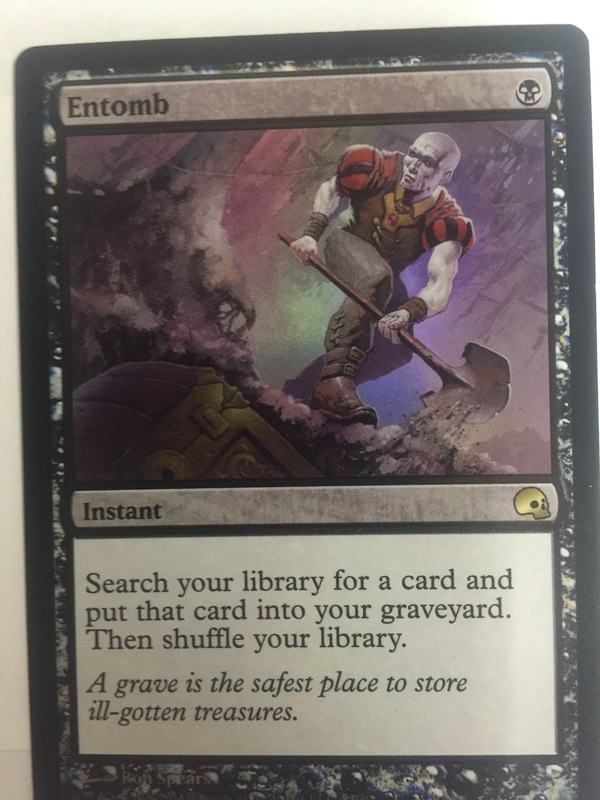 I suggest “Simic Growth Chamber” and “Galgori Rot Farm.” Return the original “forest” and “Slayers Stonghold” to your hand. ON TURN TWO YOU ARE SERIOUSLY AHEAD! 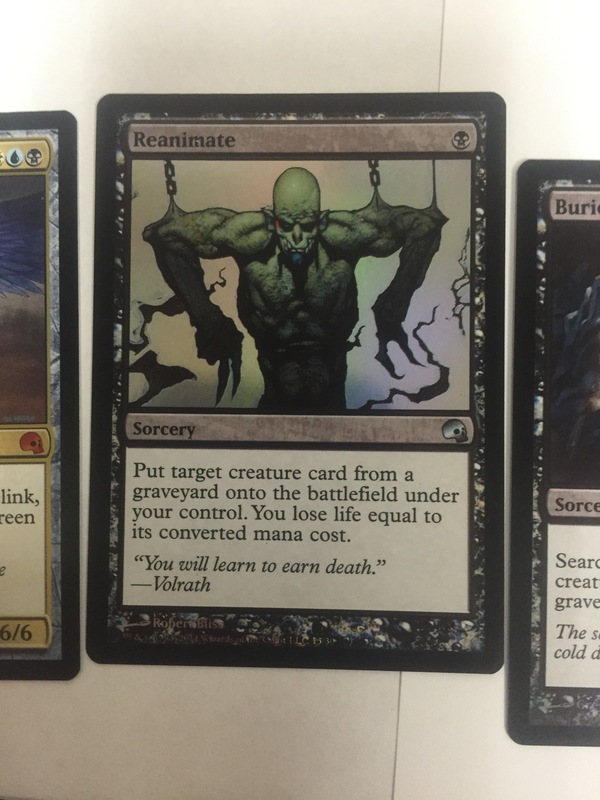 Your opponent looks sad as he responds on Turn two. He can’t do anything much. Maybe he can remove your titan. But it’s too late. A new plan is forming…. Turn 3. You draw …. It doesn’t matter, really. 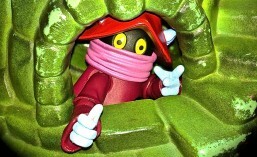 You play down “Hive Mind” by playing, tapping, and bouncing one of your green bounce lands and tapping the other two you had out. Then play “Summoners Pact.” The first card is an enchantment that says “players cast copies of instants and sorceries at the same time. They may choose new targets.” When you played “Summoner’s Pact,” it was a free card for you. You get to search your library for a green creature card. It will probably be another “Primeval Titan,” and put it in your hand. Your opponent gets to do the same. He’d better hope he is playing green….The downside to “Summoner’s Pact” is you have to pay two green and two colorless at the beginning of your upkeep, or else you lose the game. Not a problem for you. But on turn three can your opponent do that at the beginning of his upkeep. (before he gets a land drop.) NOPE. YOU WIN! Let me just say that I didn’t invent this. I read about it. And then some championship type people started doing it. Mathias Hunt posted a video about the deck he played at the last championship tournament. Also, Gerry Thompson out there has a version of this deck. It is JUST SICK. And It is the next big thing I expect. But at home I have built a version that doesn’t have as many great lands as I wish it had. I mean, I don’t have “Gemstone Mine” or any “fetch lands.” I don’t have “City of Brass”. I do have “Tolaria West,” which can let me get “Summoner’s Pact” or some other pact card. 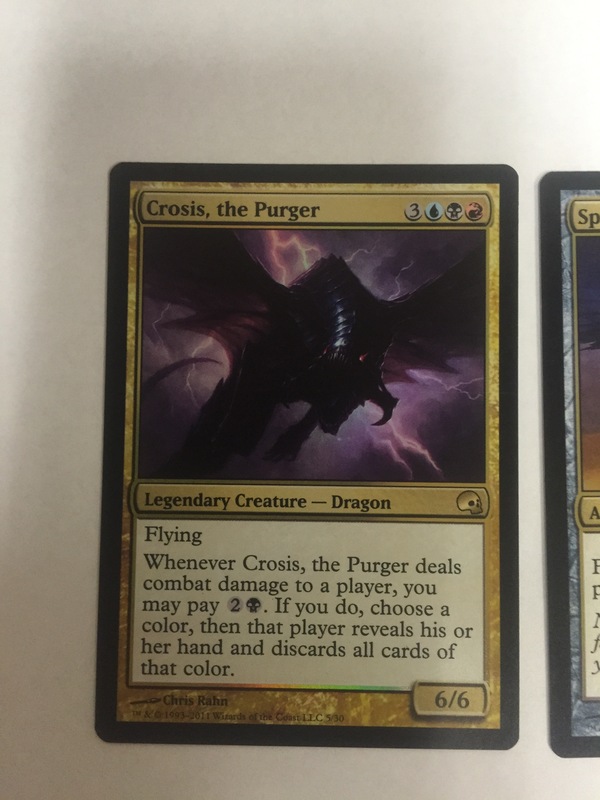 (“Slaughter Pact”) And I have four copies of each bounce land. 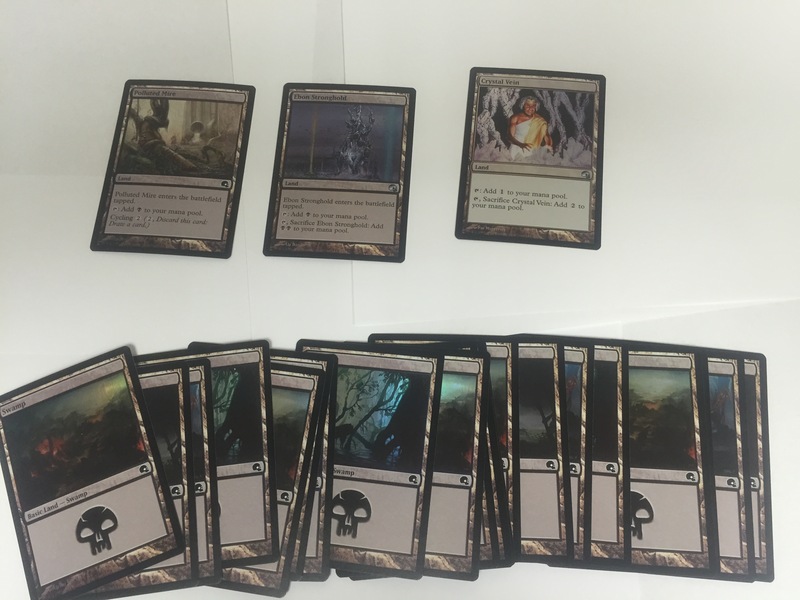 So I built this deck on a budget. I already mentioned I got my amulets for $2.50. The bounce lands cost around $20 for the whole set, mint condition. Summer Bloom was like $1.50 apiece. The pacts cost about $5. Basically, the Primeval Titans are the most expensive thing. I might have a total of $120 invested in it so far. 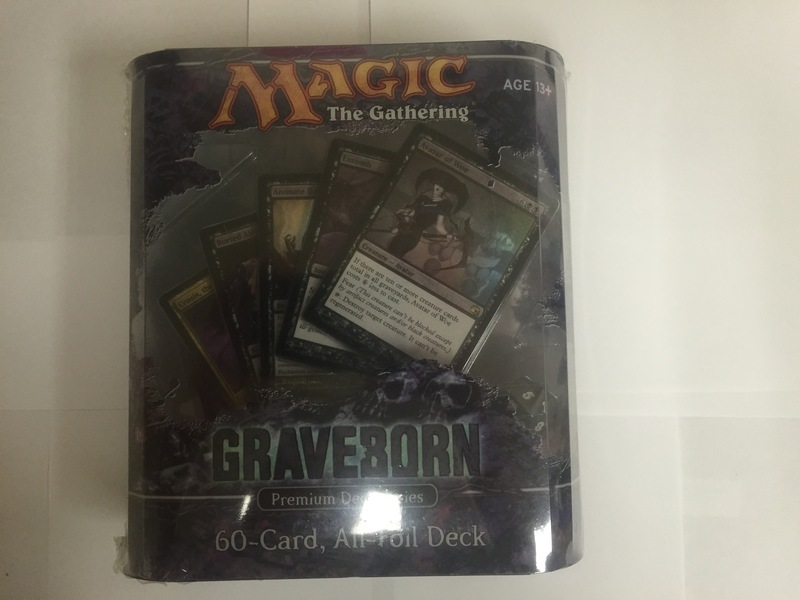 That’s a pretty good deal for a deck that I expect to win at the next Modern Tournament I can make it to! Posted in Amulet of Vigor, Combo Deck, Magic the Gathering, Modern, Modern Tournament, Primeval Titan, Summer Bloom.